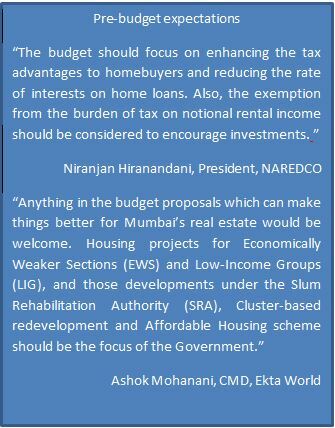 Does Budget 2019 address concerns of Mumbai realty developers? Mumbai developers pinned high hopes from the Budget 2019 to address the ongoing problems in the real estate sector. So, how far did the government’s measures cater to the concerns of the city’s builder fraternity, let us examine. Mumbai is the largest cosmopolitan in the country that faces an acute problem of ‘high population density’ and limited space for expansion. The long shoreline that borders most of the city and the suburban areas has been a major challenge for the growth of real estate. Policy restrictions such as zoning and delayed procedures have not only hindered the real estate developments but also escalated property prices across the city. Besides, macro-level issues, such as multiple project approvals, higher tax incidence and increased cost of fund acquisitions have further placed developers in the tight corners. 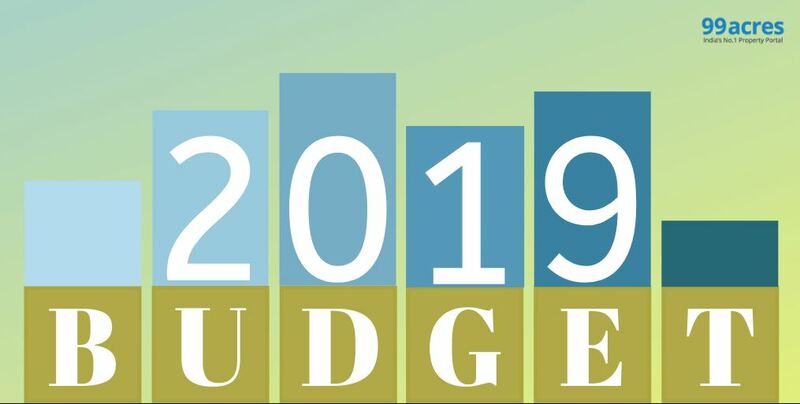 Therefore, the Budget 2019 was looked forward to be an industry-friendly budget wherein the government delves into the key problems of the sector and suggests remedial solutions. Lets’ look at the key announcements made in Budget 2019, and how far it meets the expectations of the city developers. While the Finance Minister’s speech did not incorporate anything about the ‘infrastructure grant’ to the real estate sector which could have lowered the cost of fund acquisition for the developers and encouraged the affordable developments, it did comprise one-year extension under Section 80 (I) BA. As per the section, the gross total income of an assessee including any profits and gains derived from the profession of developing and building of affordable residential projects, shall be subject to the provisions of this section and shall be allowed, a deduction of an amount equal to hundred percent of the profits and gains derived from such business. Earlier, the benefits of the provision were only valid to housing projects approved until March 31, 2019, but now have been extended to March 31, 2020. One year extension under the section is a big announcement by the government towards affordable housing. Coupled with Mumbai Development Plan 2034, that will unlock 3,700 hectares of land under Non-development Zone (NDZ), the decision is expected to spur affordable developments in the city. New developers are expected to foray into the budgeted housing segment and leverage from the extension. Increase in the tax exemption limit from Rs 2.5 lakh to Rs 5 lakh, for those earning up to Rs 5 lakh per annum, is another critical announcement of the Budget 2019. The tax-free income will not only reduce the financial burden on the middle-class segment but will also increase their disposable income. Besides, the standard deductions have also been raised from Rs 40,000 per annum to Rs 50,000 per annum. In total, an individual earning up to Rs 5 lakh per annum will save close to Rs 23,000 per annum from the above announcements. While the government kept the Goods and Services Tax (GST) out of the purview of the budget, the increase in the tax exemption ceiling and the hike in standard deductions are viewed in the positive light and are expected to surge the housing demand from the first-time buyers. The tax levied on the notional rent of the second vacant home has been abolished, increasing the benefit of self-occupied property from one to two. In Mumbai, where second home investments severely suffered the brunt of Demonetisation and Real Estate (Regulations and Development) Act, 2016 (RERA) during the last couple of years, the announcement is expected to encourage investments in the residential properties. Moreover, the government also increased the period of notional interest for unsold inventory from one year to two years, i.e. the notional rent on unsold inventory would be tax-free for two years. The Finance Minister (FM) has also pushed the limit of Tax Deduction at Source (TDS) on rental income from Rs 1.8 lakh to Rs 2.4 lakh. Although the long-pending demands of single window clearance and stress fund once again went unnoticed by the government, many other problems were addressed by the Interim Budget. For instance, affordable housing that encapsulates nearly 47 percent* of Mumbai’s housing demand against the current 12 percent supply has been carefully addressed by the extension under Section 80 (I) BA and other provisions. Overall, the Budget 2019 has been a populist budget and is likely to improve realty expansion in Mumbai.